The Ministry of Helps Handbook by Buddy Bell is a unique combination of teaching, seminar guidelines and answers to often-asked questions. 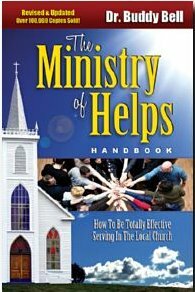 This useful and complete book provides pastors, and members, with the tools and insights to restore the ministry of helps to their church. Helps, Having enough Loving People Serving! 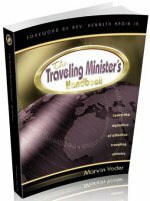 Description: How to Be Totally Effective Serving in the Ministry of Helps. Churches need the ministry of helps. The time has come for church members to begin doing the work for the ministry, and let the pastors return to being what they have been called to do–be spokesmen for Jesus. 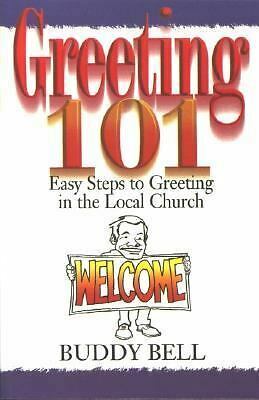 Finally, a book filled with useful information for many: Ushers, Greeters, Nursery Workers, Counselors, all areas of your Church’s Ministry of Helps! What are others saying about Buddy Bell?